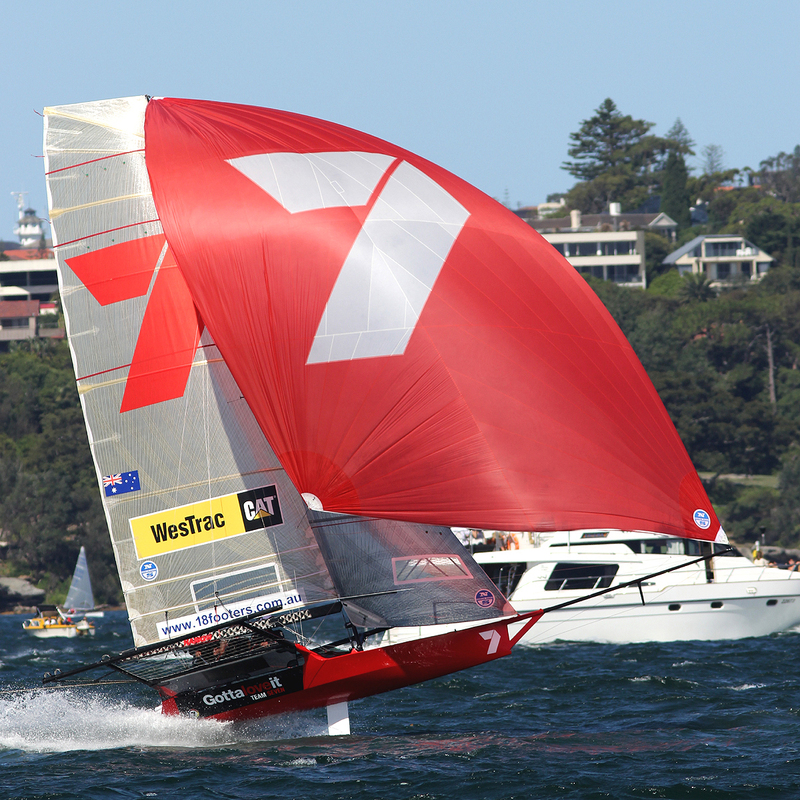 Seve Jarvin, Sam Newton and Scott Babbage showed why the Gotta Love It 7 team is favourite for the 2014 JJ Giltinan 18ft Skiff Championship, proudly presented by Sydney City Marine, after a good win in the Invitation Race, sailed on Sydney Harbour today. In a race sailed in a weakening SE breeze, Gotta Love It 7 took the honours by 1m27s from UK skiff Pica, sailed by James Mears, Stewart Mears and Matt Searle, with Fisher & Paykel (Grant Rollerson, Peter Nicholson, Geoff Bauchop) another 26s back in third place. 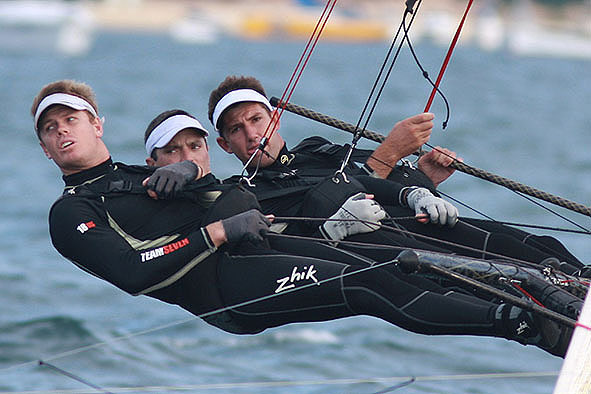 With the championship proper to begin tomorrow, today’s results were good for the international teams as four countries were featured in the first nine places of the 34-boat fleet. Asko Appliances (Marcus Ashley-Jones) finished fourth, ahead of USA’s Howie Hamlin on CST Composites, Appliancesonline.com.au (Micah Lane), The Black Dog (Jarrod Simpson, UK), Coopers 62-Rag & Famish Hotel (Jack Macartney) and C-Tech (Alex Vallings, NZ).